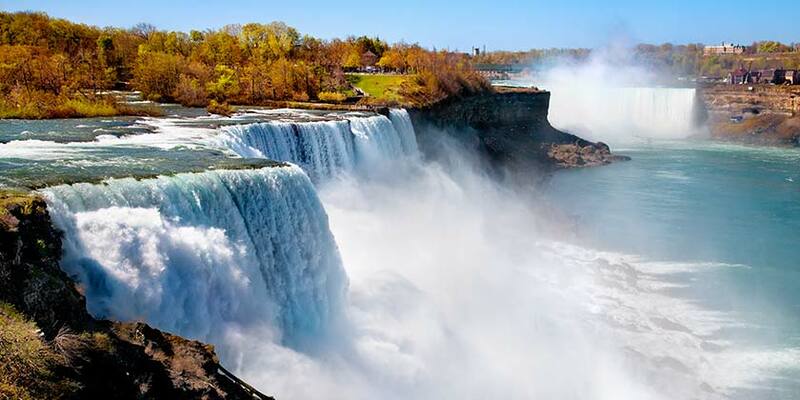 Get inspired at Niagara Falls, which boasts the highest flow rate of any waterfall in the world. Visitors have been flocking to witness nature’s power at this incredible waterfall for hundreds of years. Take time to explore the falls at the Niagara Falls State Park, and get up close and personal aboard the Maid of the Mist. For families, couples, and even unforgettable weddings, you’ll find an adventure like no other at Niagara Falls.